Steve joined Arnold Packaging in the summer of 2012. 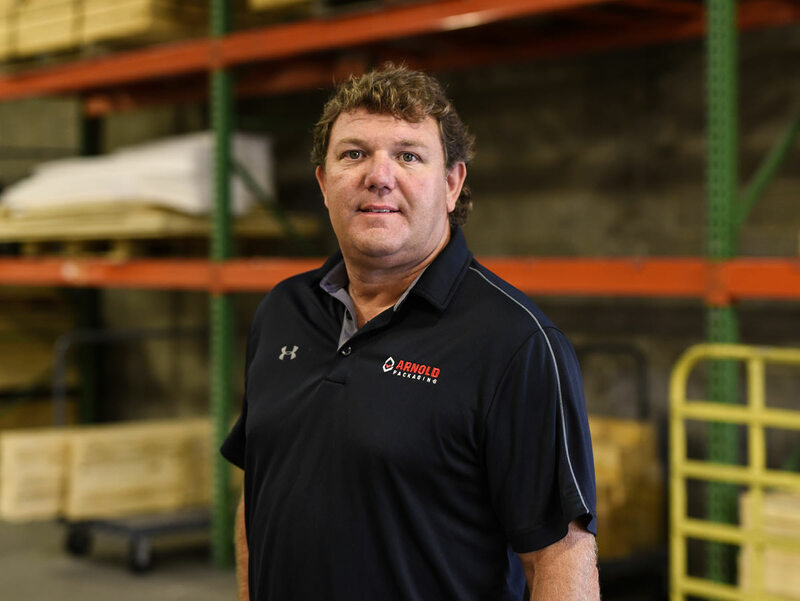 He has had multiple sales consultant roles in many fields such as Construction Equipment and Alternative Heating products, and joined the packaging field in 2010. Steve likes to collaborate with his customers to better understand their needs and wants as well as bringing the right solution to the customer at an affordable price. Steve’s primary focus is building sales in the Baltimore/Washington areas and is now the sole sales consultant covering all of Maryland’s Eastern Shore area. Steve was born and raised in Baltimore and graduated from Loyola-Blakefield High School. He received his Bachelor of Arts degree from Denison University. Steve enjoys many outdoor activities and spends time enjoying the Maryland Chesapeake Bay watershed and all it has to offer. Arnold’s Factory Supplies began in Baltimore in 1933 as a manufacturer of adhesives and inks used for packaging applications. After over 85 years, we have become the most comprehensive company in our industry. We look to the future of manufacturing to discover opportunities for our customers to increase their profitability starting right now.